Former British Foreign Secretary an Anti-Semite? This latest scandal concerns some comments allegedly made by former British Foreign Secretary, Jack Straw, as reported by former Knesset member Einat Wilf. Personally, I find Wilf’s comments more astonishing than those attributed to Straw! Germany’s “obsession” with defending Israel. It’s not clear whether Wilf considers both of the statements attributed to Straw to be equally crazy. Or perhaps it’s not criticism of AIPAC or Germany as such that she considers self-evidently baseless but simply the idea that Israel could be responsible for the impasse? Certainly Wilf seems to think that her explanation for the conflict – “Arab and Palestinian unwillingness to accept the Jewish people’s legitimate right to a state of their own” – should be accepted without the need for further discussion! Former British Foreign Secretary Jack Straw reportedly said during a debate in the British parliament that “unlimited” funds available to Jewish organizations and AIPAC in the US are used to control American policy in the Middle East. The comments were made last week during the Round Table Global Diplomatic Forum in the British House of Commons, according to former Knesset member Einat Wilf. Wilf was participating in the debate and posted what she said were Straw’s comments on herFacebook page. Straw said, according to Wilf, that the greatest obstacles to peace between Israel and the Palestinians and her Arab neighbors are the “unlimited” funds available to Jewish organizations and AIPAC in the US, as well as Germany’s “obsession” with defending Israel. 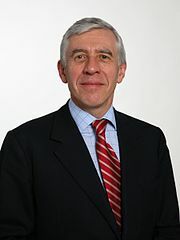 Wrote Wilf: “I nearly fell off my rickety British chair today when former UK Foreign Secretary Jack Straw spoke at the Round Table Global Diplomatic Forum in the British House of Commons. Listing the greatest obstacles to peace, he said ‘unlimited’ funds available to Jewish organizations and AIPAC in the US are used to control and divert American policy in the region and that Germany’s ‘obsession’ with defending Israel were the problem. Tags: AIPAC, Germany, israel, israel and palestine, Jack Straw, Jewish, Palestinian, US. Filed under israel and palestine articles by Father Dave on Oct 28th, 2013. Comment. Church of Scotland condemned as Anti-Semitic! It is horrible to see the ‘anti-Semetism card’ being played again in an attempt to silence theological discussion within the church. This is not to say that theological debate doesn’t sometimes mask blatant racism. Indeed Martin Luther was notorious for it. Even so, the debate going on in the Church of Scotland (as in so many churches around the world) is one that has to take place, as it strikes at the heart of the church’s commitment to both the Bible and to social justice! It seems that the Zionist lobby has long been able to rely on church councils to add their blessing to the Palestinian occupation, but church bodies are systematically withdrawing their support, one by one, and it is evidently making some of the political power-players nervous. The great danger is that if bodies claiming to represent the Jewish people continue to equate criticism of the state of Israel with an attack upon their race, this could lead to a resurgence of genuine anti-Semitism! That church needs to guard against this. In the meantime, these Jewish advocacy groups need to reconnect with the struggle for human rights for all people and not just territorial rights for the state of Israel! Today the General Assembly of the Church of Scotland accepted the controversial Church and Society Council report on Israel/Palestine titled “The Inheritance of Abraham? A Report on the ‘Promised Land,'”which has been widely and angrily condemned by Jewish groups and the Israeli government as anti-Semitic and anti-Israel. The revised report was overwhelmingly accepted by the General Assembly., Mrs Foster-Fulton said: “The on-going conflict in Israel and the Occupied Palestinian Territory has been an issue close to the heart of the Church of Scotland – we have a long relationship with the region and have many friends there. “The Church has kept on thinking about ways we can contribute to a just and peaceful solution. The report we bring to this year’s Assembly has already caused no small amount of controversy. The Church and Society Council has learned a great deal from dialogue with Jewish community which followed the initial release of the report. The recommendations for action are mild compared to the resolutions passed by the Presbyterian and Methodist conventions in the U.S. this year. There is no mention of even limited boycotts of settlement products. Neither is church divestment from companies like Caterpillar and Motorola an issue here, as it was at the church meetings in the U.S.
… that Christians should not be supporting any claims by [Editor’s note: “Jewish or” was here in the original version] any people to an exclusive or even privileged divine right to possess particular territory. We believe that is a misuse of the Hebrew Bible (the Christian Old Testament) and the New Testament to use it as a topographic guide to settle contemporary conflicts over land. Still the church agreed to revise the document which it had suddenly removed from its website. The new version, which was accepted today, was less critical of the government of Israel and of certain aspects of the Jewish religion, but maintained the conclusion and most of the theological argumentation which was so vociferously objected to by Jewish critics. Influenced by Sabeel’s theology, the Church of Scotland elevates the situation of the Palestinians, reinvented as Jesus’s own people, far above the grotesque plight of Christians elsewhere in the region. It’s a stance that is bound to ensure that the Church’s Jewish interlocutors remain fearful of its true intentions. The bluntly anti-Semitic phrasing of the original report may have been removed, but the delegitimization of Judaism – not simply political Zionism – remains very much intact. Ira Glunts is a retired college librarian who lives in Madison, NY. Tags: church, israel, israel and palestine religion, Jewish, occupation, palestinian occupation. Filed under Uncategorized by Father Dave on May 25th, 2013. Comment. The following recording is of an address given by Barghouti in February, 2013. In it he both explains and highlights the progress of the worldwide ‘Boycott, Divestment and Sanctions’ (BDS) campaign against Israel. I found particularly insightful Barghouti’s point that people who say that the BDS is anti-Semitic are themselves being anti-Semitic! His logic is as follows: By claiming that the BDS is a crime against all Jews he is equating the State of Israel with all Jewish people. By lumping together all Jewish people and claiming (falsely) that they are all the same in their political stance regarding the Jewish State he is making a racist slur. As he says, “only Nazis and Zionists believe that all Jews are the same”! Omar Barghouti is a leading Palestinian activist and is a founding committee member of the Palestinian Campaign for the Academic and Cultural Boycott of Israel (PACBI). Tags: bds, boycott, divestment, israel, Jewish, jews.